A major difference between unibody and modular construction is similar to that between unibody and body-on-frame construction in vehicles. Passenger cars tend to have unibody construction because it is lighter, but heavy-duty trucks are built body-on-frame and will likely continue because they are stronger. A collision that causes some bent sheet metal can compromise the structural integrity of a unibody vehicle. However, a body-on-frame vehicle with equivalent damage can be repaired in a body shop. The ability to change parts for new ones (without cutting and welding) makes it much easier to do in-the-field customization as technology advances and the equipment in the cabinet changes. The strength of a modular enclosure lies with its frame. The frame consists of metal forms with a series of holes spaced at standard distances such that common accessories can be added to the interior without drilling or welding. Additionally, multiple frames can be joined together-side-to-side, back-to-back, side-to-back, and top-to-bottom-to create flexible configurations. Modular enclosure construction makes it possible to get exactly what is needed quickly and at a lower cost than a unibody enclosure. As technology changes, new control equipment may be installed which is often smaller and/or more energy efficient than what came before. 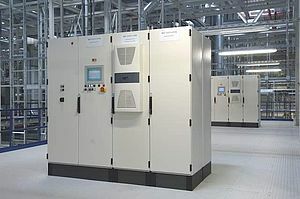 Should the need arise, a modular enclosure can be reconfigured in the field, and newer, smaller equipment may be able to share cabinets, reducing footprint on the factory floor. A modular enclosure is made of parts that can be rearranged without having to either scrap an existing cabinet or cut and weld it. Modular construction also makes it easy for an enclosure to conform or integrate into the machine design as well. Modern design tools make specifying for modular enclosures quick and simple, and they can be designed and ordered with just two part numbers. Modular enclosures can be certified to NEMA 250 and UL 50/50E standards to offer the same environmental protection ratings (3R, 12, 4, 4X, etc.) as unibody designs. The strength of a modular enclosure comes from its frame, not its skin. The weight of the installed equipment is transferred to the vertical frame members, leaving the skin unstressed. This means the skin can be thinner and lighter; it also can make for easier handling and possible savings in time, labor, and shipping costs. A unibody enclosure's welded, thick-gauge construction makes it more difficult to add holes, cutouts, and other modifications with fewer choices for mounting panel location and door location and hinging. Full viewing doors generally are not available. Because doors generally are made with piano hinges, they can be difficult to remove in the field. Even with lift-off hinges, door removal can require two people. 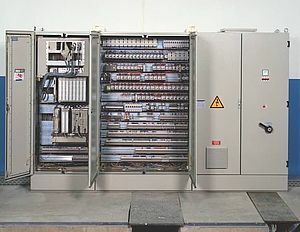 A modular enclosure easily can be compartmentalized, allowing things such as information technology (IT) equipment to be installed in the same cabinet as power equipment. 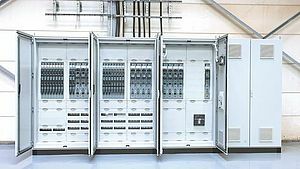 This can save floor space in the plant, and can make it possible to have equipment operating on different power feeds-120 or 240 V single-phase for some equipment and 208 V three-phase for other-in the same cabinet, yet keep them thermally and electrically isolated. Thermal isolation means an enclosure can accommodate several types of equipment with different cooling needs in the same cabinet, hence without the need for separate cabinets with different cooling systems. One compartment that must be sealed from the outside air, or even be cooled below ambient air, can be handled using its own smaller cooling gear, while the rest of the cabinet may not need such cooling. Modular enclosures, while available in traditional sizes, also can be configured to specific application needs such as full size and partial doors, multiple mounting panels, and side entry/access for. 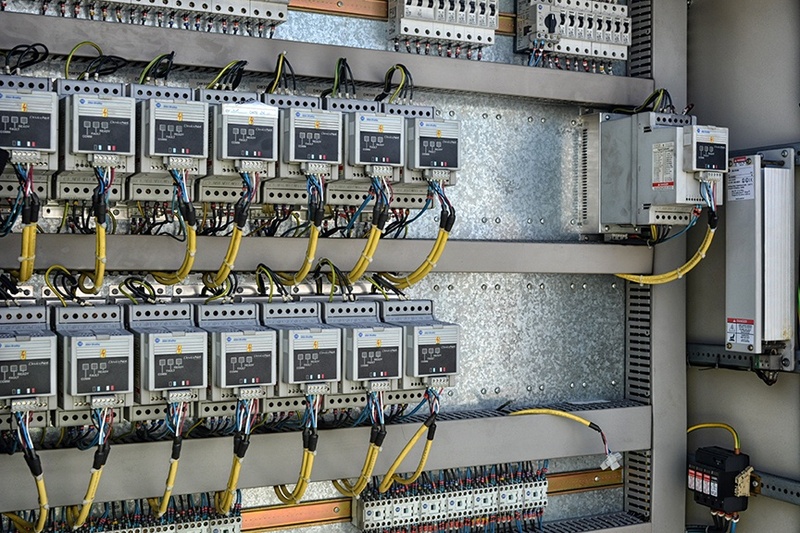 When choosing a construction type for equipment enclosures, including but not limited to electronics enclosures, generally it's a good idea to err on the side of versatility, which modular enclosures provide. Tomorrow's requirements may not be evident today. It's wise to choose a design that can be easily modified. Modular enclosures have more flexibility and a smaller footprint than unibody enclosures. Modular enclosures are easy to reconfigure in the field to fit the application as changes are made. Modular enclosures can be compartmentalized, which is useful for information technology (IT) applications. Troy Miesse is the product manager for industrial enclosures at Rittal North America. With more than 20 years' experience, Miesse has knowledge in electrical controls and industrial automation. His roles at Rittal include leading the North American systems consulting group responsible for engineering/design, technical sales support, and product specifications. Miesse holds a Bachelor's Degree in Electrical Engineering from Franklin University and a Master's Degree in Business and Engineering Management from the University of Idaho. Steve Sullivan is the training supervisor at Rittal North America where he oversees instructor-led, computer and web-based learning and development. In more than 20 years with Rittal, Sullivan also worked in production control, managed tradeshows and exhibits, and conducted sales training for industrial and IT products in the Americas and abroad. Sullivan co-founded Rittal University Online and is the North American point-of-contact for Rittal's Global Trainer Network. He has a B.S. in Psychology from Wright State University, and an MBA from the University of Phoenix.